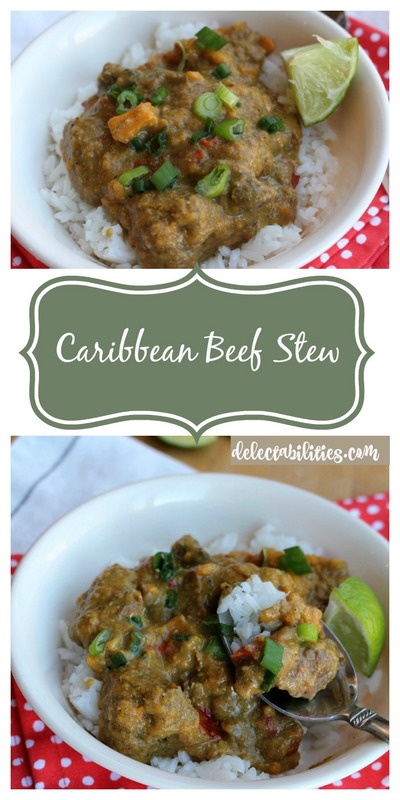 This Caribbean Beef Stew is one of those recipes that I was just hoping would work for what I needed at the moment. Our family had been invited to join an ethnic night with a few other families and the theme was Caribbean food. I forgot to find recipes until the day before. 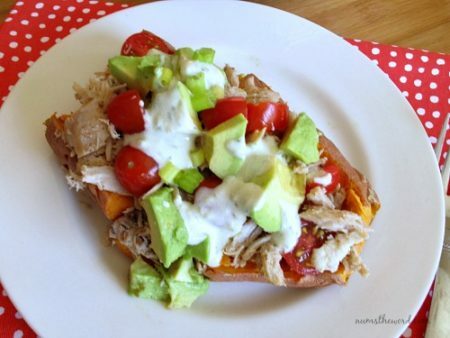 So… this is one of the first recipes that I found in a very quick search. Not only did it look delicious, but I knew that I would be able to get all the ingredients. 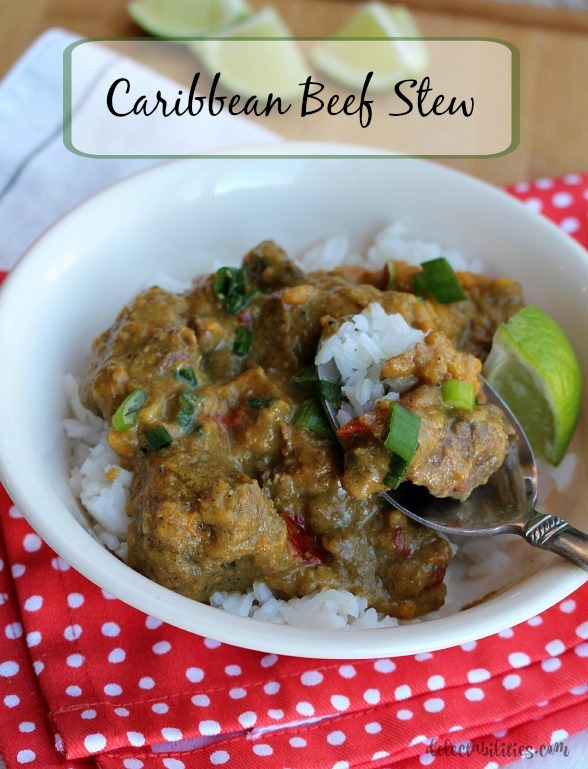 This Caribbean Beef Stew ended up being one of the best dishes I’ve ever made. It tastes like something that you would find at a restaurant that you would have over rice, or eaten with some sort of delicious flat bread. What I especially loved about this was that the flavors were pretty simple. Just a few simple spices that make for a delicious and thick stew. Some of the reviews mentioned the meat being over-done while the sweet potatoes are not done yet after 7 hours. I made sure to check that the sweet potatoes were getting liquid so that they could cook. They did fine, only needing 5 hours for everything to be cooked perfectly. In medium bowl, combine flour, curry, allspice, salt and pepper. Add the beef and toss to coat. Transfer the meat to a lightly greased 6-quart slow cooker*. Place the sweet potatoes and red pepper in bowl with the remaining flour and spices. Toss to coat as much a possible and pour all contents over the beef in the slow cooker. In small bowl, whisk together coconut milk and ginger. 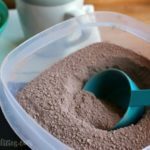 Pour over all contents in slow cooker. Cook on low for 5-7 hours - sweet potatoes should be soft and beef just cooked through. Serve over rice and top with green onions. *If a smaller crock pot is used, you might have a hard time getting the liquid to the sweet potatoes, and they will have a hard time cooking. 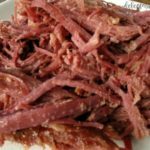 Do you love beef brisket? 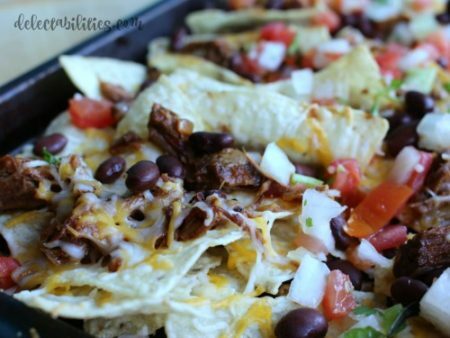 Try these amazing beef brisket nachos! 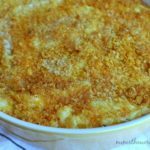 A great way to use up leftover brisket! 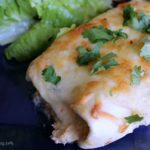 Top with cheese, beans, salsa or guacamole! 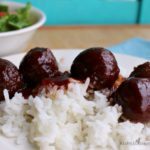 This simple crock pot recipe has only 3 ingredients & is moist and tasty! 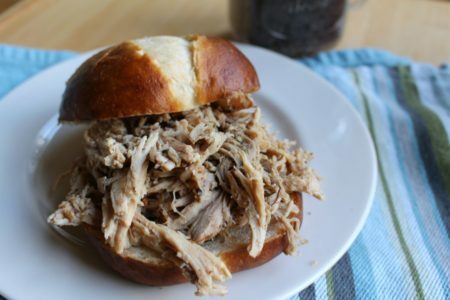 Perfect as a sandwich paired with your favorite barbecue sauce or even by itself!